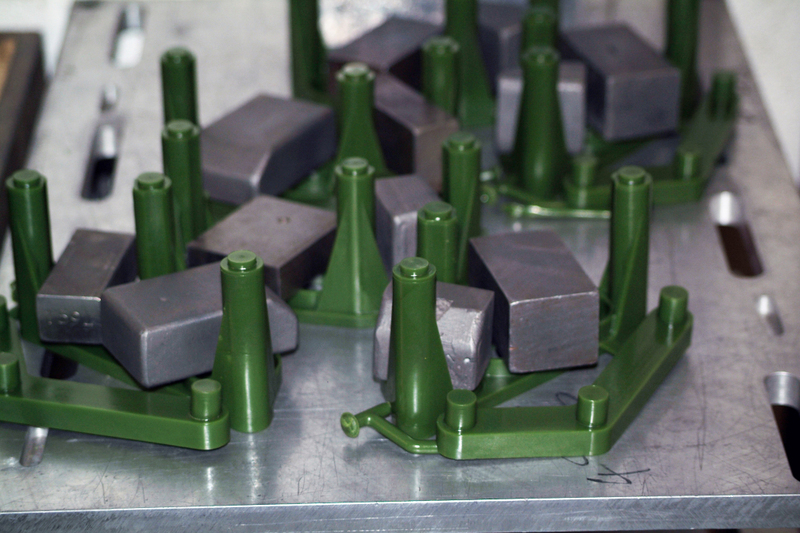 See our casting process from start to finish. 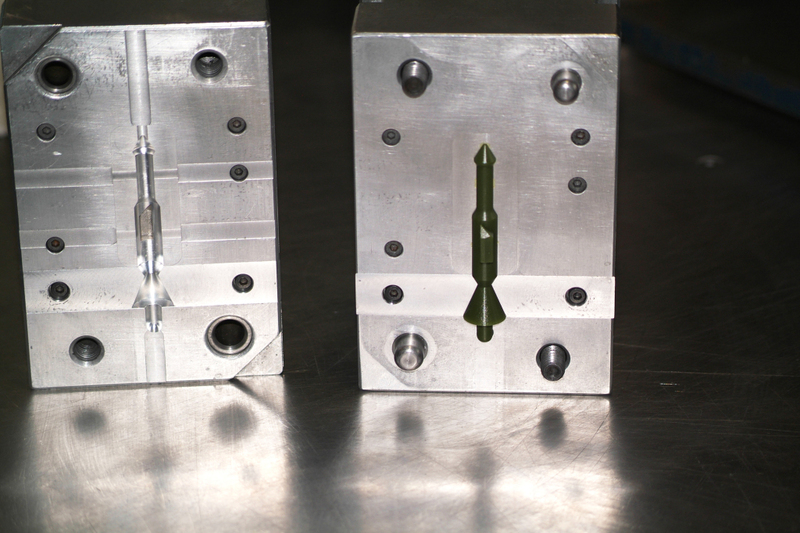 Wax patterns are produced by injecting wax under pressure into accurately machined metal dies. 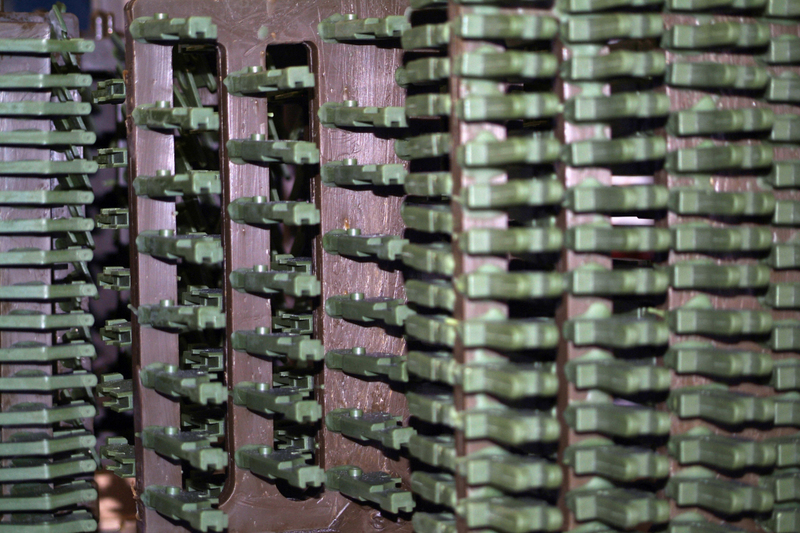 Wax patterns are assembled onto a runner system with handling arrangements designed for robotic shell coating. 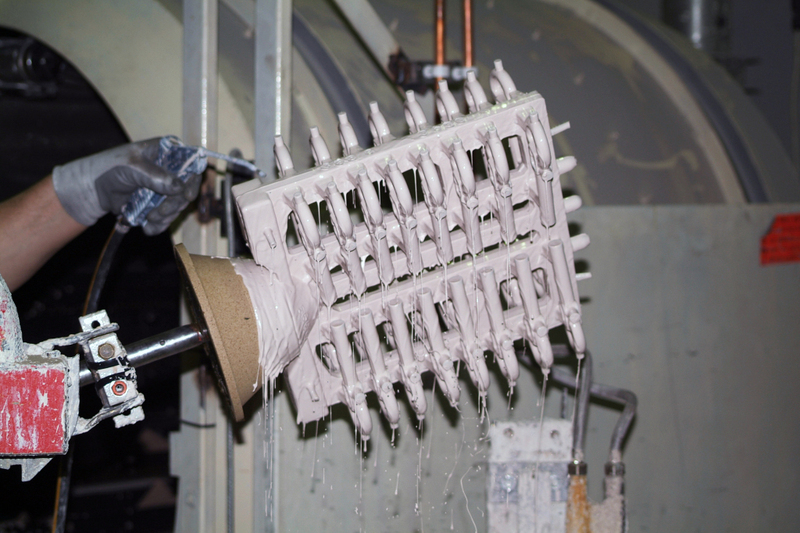 The wax assembly is coated with a ceramic shell utilising specially designed robots by repeated dipping into ceramic slurries and stuccoing with graded refractory materials. 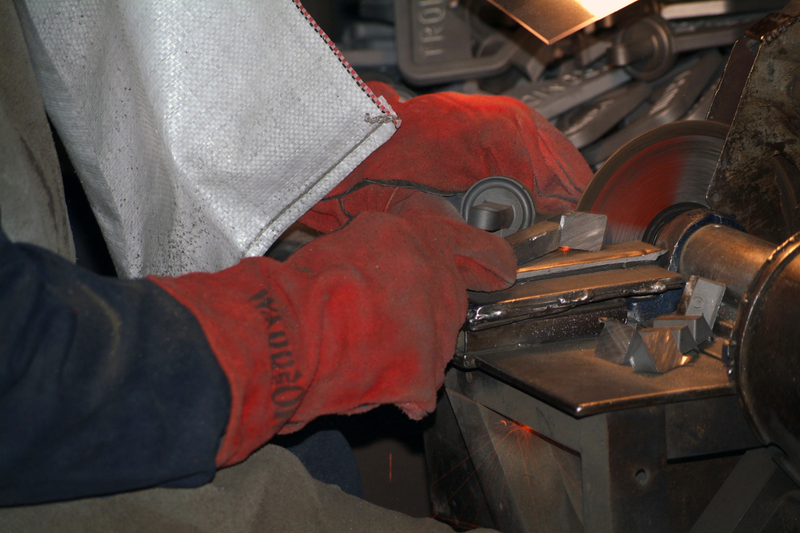 The wax is removed from the shell which is fired at over a 1000°C in a specifically designed pre-heat furnace. Induction melting units are used to melt the alloy. 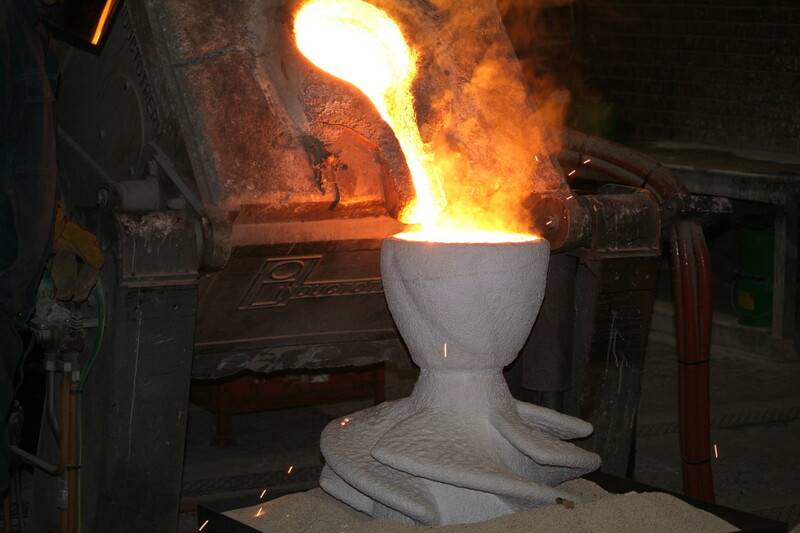 The molten metal is poured into the pre-heated ceramic shell and allowed to solidify. 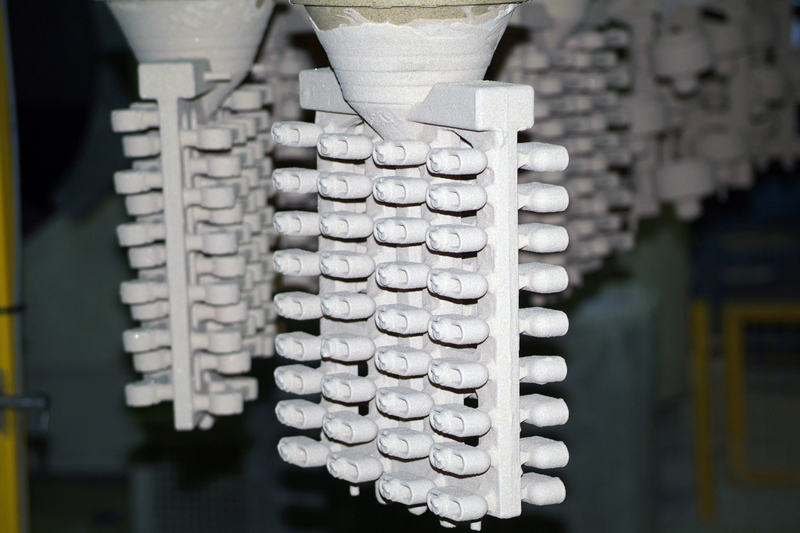 When the metal filled ceramic shell has fully cooled the ceramic is removed mechanically from the cast assembly, which is cleaned in a carousel shot blast cabinet. 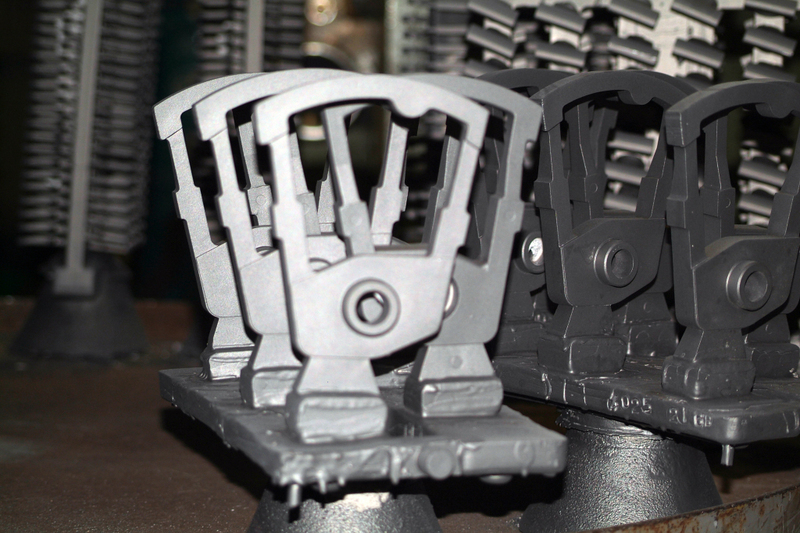 All cast parts are then removed from the runner system. 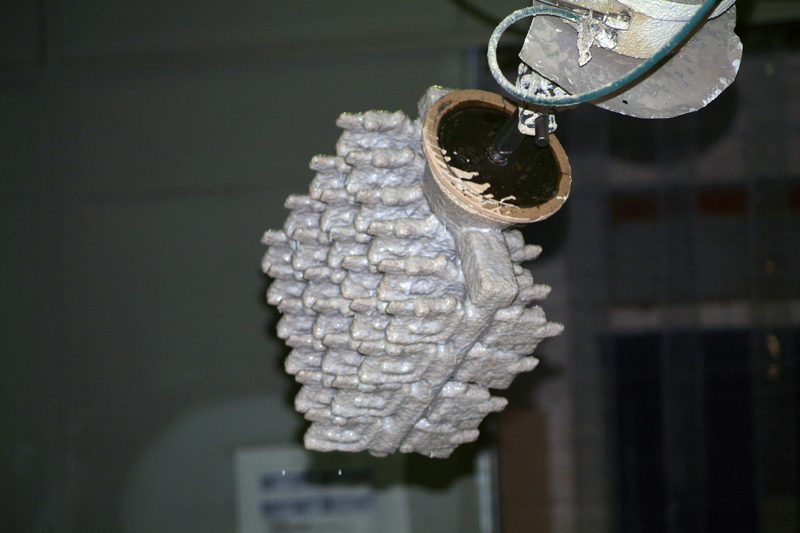 The final casting is subject to a variety of blasting techniques to customer requirements.